A well-known destination for eco-adventurers, Costa Rica’s abundant wildlife, warm beaches, and natural beauty are hardly a secret. However, the small surf town of Montezuma is home to a little-known gem of a property that delivers all that Costa Rica has to offer, and so much more. 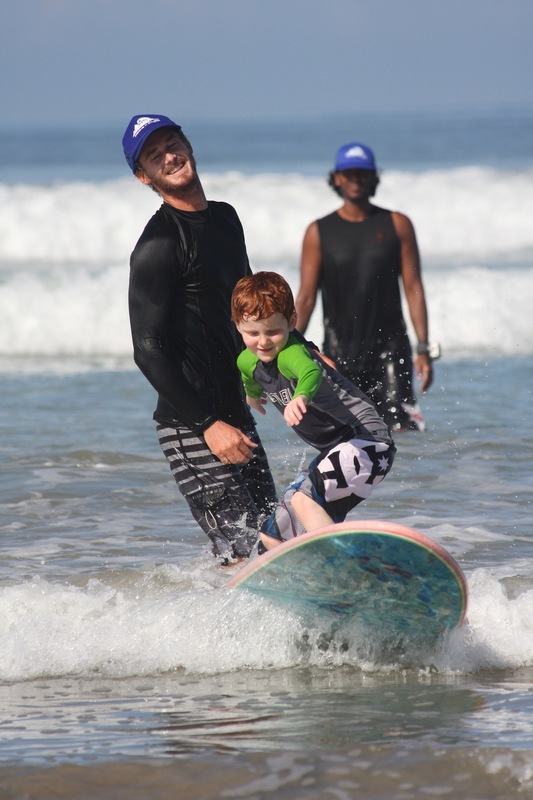 This spring we took the kids to Peaks N’ Swells for a week of family surf camp. The coaches were so instructive and encouraging that I was up and riding on green waves the first week! My boys, ages 6 and 8, were able to paddle out into the white water, turn around and catch waves all on their own. After a full day on the water, we would return to the beachfront villas for a dip in the pool, fresh coconut water directly from the “pipa,” homemade chips & salsa, and mangos picked from trees on the property. The kids occupied themselves hunting for the howler monkeys that swing through the property while the adults enjoyed daily yoga on the patio. Though the villas do have kitchens, most nights we opted to have a local woman come in and cook. There is no restaurant that could beat sitting down family style to feast on Nora’s fish tacos and homemade arroz con leche. Peaks N’ Swells delivered everything we were looking for in a family vacation. It was active, cultural, educational, and adventurous…but most important, it was a blast. We’ve already booked our return trip.